In addition to being a United Methodist pastor, I am also a paramedic. I have been involved in emergency medical services (EMS) since 2009, starting as an EMT and becoming a paramedic in 2011. I am nearing the end of my paramedic career. When I leave for seminary I simply will not have time to attend school, (hopefully) serve a church and be a full time seminary student. In spite of that, I will remain a full supporter of my brothers and sisters who do everything from take elderly patients back to the nursing home from the hospital to perform procedures with standing orders that nurses can not even perform without a direct order from a doctor, all while alone in the back of a moving vehicle. While I will be leaving the field as an active provider in a few months, I have long felt that advocating and providing chaplaincy for EMS is part of my call to ministry. We recently had an event that reinforced and confirmed this part of my call and has inspired me to make sure that I keep it as one of my ministry missions. Andy has been described in many ways but one of the ways I will always think of him is as the fun guy. Anytime he worked, the mood around base seemed to be lighter. He was almost always smiling, laughing or making a joke. He pulled his share of pranks and seemed to be overall happy. He was also known for his cooking, especially barbecue. Andy was also a stellar medic who was very knowledgeable about patient care, diseases and how to treat people with respect and dignity. When an off-duty accident sidelined him he tried his hand at teaching and, from all accounts, was gifted there as well (although he enjoyed being on the truck much more). Andy was a prime example of what a paramedic should be. that none of us had any idea about. While I do not know specifics, Andy was apparently having some mental health issues. Unfortunately, Andy lost this battle when be succumbed to suicide earlier this week. 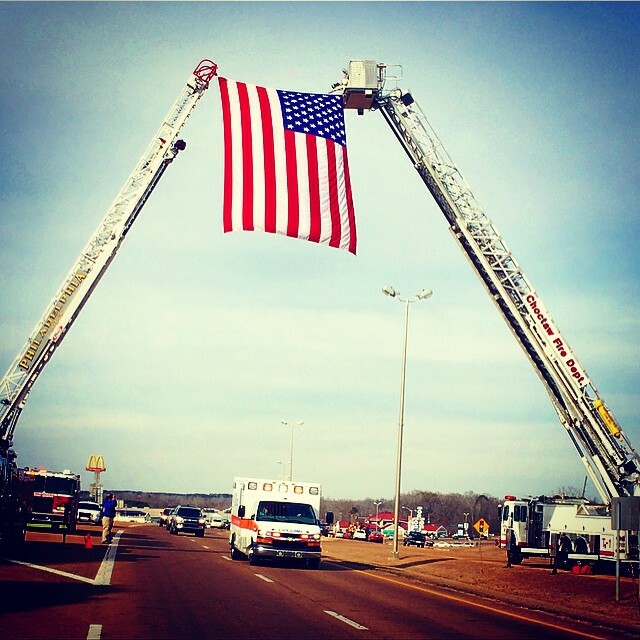 Yesterday, brother and sister EMTs, paramedics and firefighters converged on his (and my) hometown of Philadelphia, Mississippi to celebrate his life and career and to take him on his last ride in a Metro Ambulance unit. The chapel was packed and the cemetery was as well. The helicopter EMS company Andy worked for, AirEvac Lifeteam of Demopolis, Alabama, did a flyover. In spite of the sadness, the celebration of Andy’s life was amazing and a very fitting send off for our fallen brother. 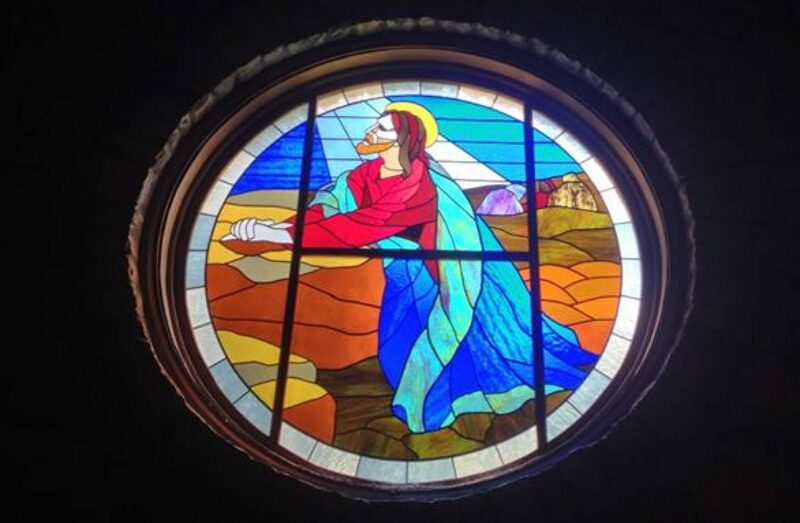 I don’t believe that God causes these things to happen. That, however, does not mean that God is not in the midst of people who mourn such losses. As we read in scripture, all things do work for God’s glory. While I will never believe that God caused Andy’s suicide, I do believe that He will use us to make something good happen as a result of this tragedy. This begins with me. This begins with us. It’s time to end this stigma. It’s time to admit that many of us are walking around with memories of calls which do effect our lives and our careers. It’s time to admit that many of us do need help and it’s time for us to stop telling our brothers and sister that they are less for seeking help. It’s time for EMS agencies to take their employees’ mental health seriously and to help them find the services that can save their lives. It’s time for us to take care of one another and stop judging and criticizing. We have to have each others’ backs. The campaign has two main goals. Our primary goal is raising awareness of the high rates of mental health issues, substance abuse and suicide among first responders. Our secondary goal is providing education for responders on how to provide care for themselves and recognize issues in their peers. The campaign raises awareness by giving first responders an outlet to tell the story of their mental health issues anonymously, and then republishing those stories so they can be viewed by everyone. This allows us to see what each other have really gone through, and allows those of us who are struggling to understand that we are not alone. It also allows those who do not have first hand experience with mental health issues to see that mental health issues can affect anyone, which will hopefully decrease the stigma. I am now an advocate for Code Green. In addition, I want any of my EMS brothers and sisters to know that I am here for you if you ever need to talk, vent, cry or to just hang out and hash it out. If I can’t help, I will help you find someone who can. Above all, know that you have someone who has your back and is ready and willing to listen. If you don’t come to me, please go to someone. If you need help, get help. If anyone judges you for it, remember that they may be doing it out of their own frustration and fear of getting help themselves. If you know someone who needs help, help them find it. We have to take care of one another. No one else is going to. For more about the Code Green Campaign, click here. For Andy and all of our fallen brothers: Your work is done. Rest easy. We have the watch. * I don’t know that this specific type of situation was why Andy killed himself but I have seen it in other people. This is so beautifully said. I’m thankful to know I have such a solid brother to lean on. Thank you for this. Love ya, brother. Very well written. We do seem to avoid asking for help. No one wants to appear weak in this job which is something I have never figured out. I’ve lost 3 co workers to suicide in EMS and I am tired of it. If code green helps save only one life, then it is worth doing. Thank you sir, this was well written and all of us who know you know your compassion for others. Thanks for your comforting and encouraging words. 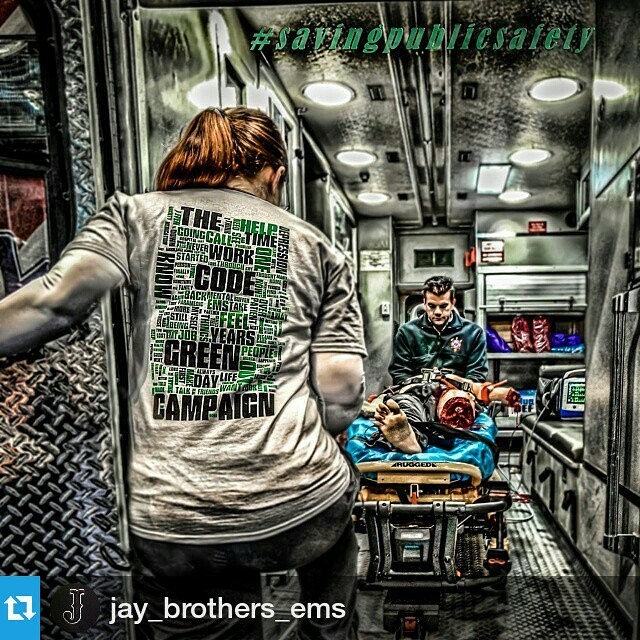 I pray code green helps some of our brothers and sisters in EMS!